Do you ever feel like Christ gets a little lost in the Christmas season? I do. So I wanted today's Sew a Song of Christmas project to remind us what Christmas is really about. 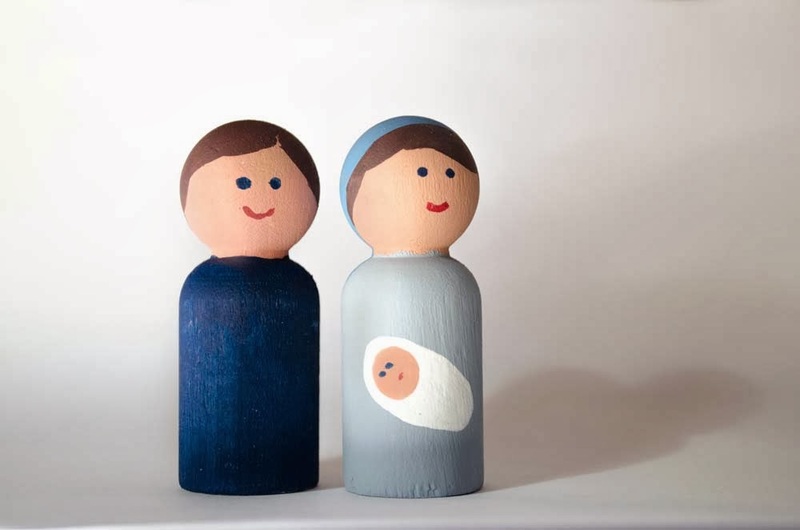 I did already make a wooden nativity set a couple years ago, but there's always room for another nativity set, right? We will have fun playing with these cute little guys and teaching Boo and Daddy's Girl about when Christ was born. 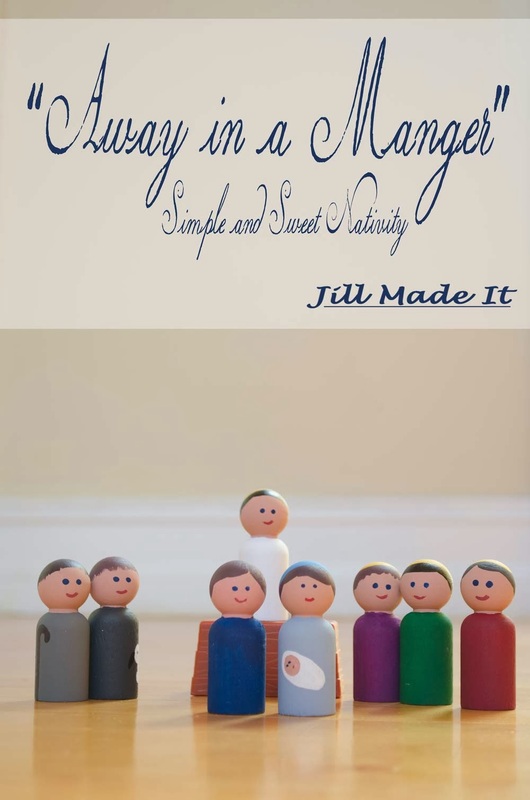 This project was inspired by these adorable Princess Peg Dolls. 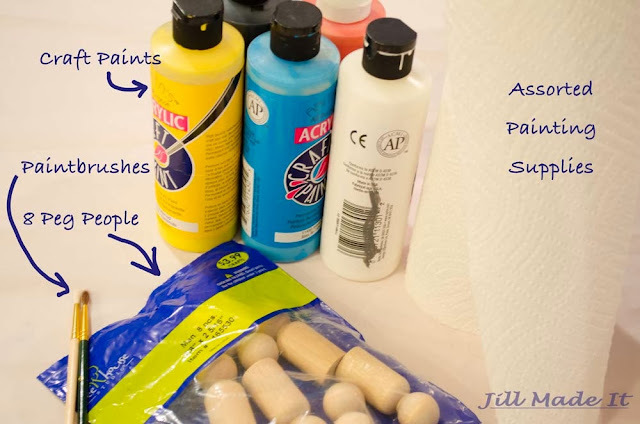 When I showed Boo this tutorial, she decided she wanted to paint a princess set. So she did. And they turned out really cute. I'll have to show them to you later. 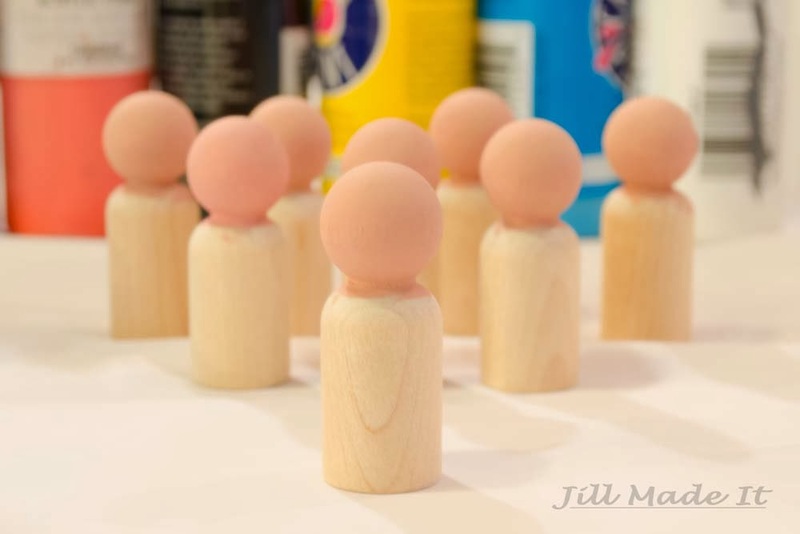 Besides the regular painting supplies, all you need for this project are eight wooden peg dolls. I found mine at Hobby Lobby. They come in packs of eight, so that worked out great! 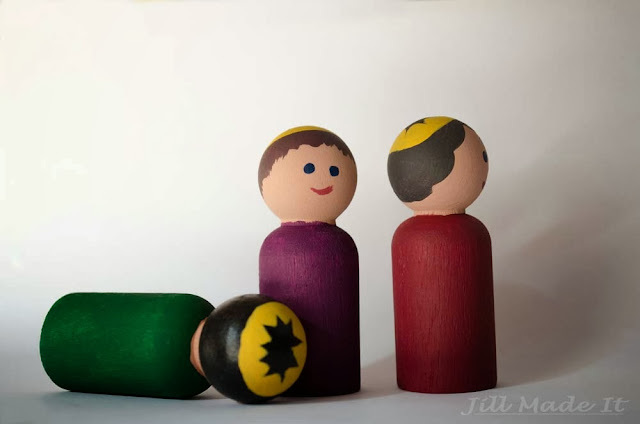 First, I painted their heads. 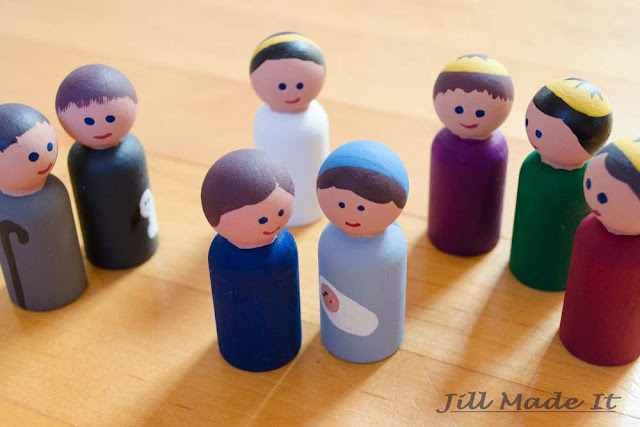 The nice thing about painting all the Nativity People at once is that by the time you've finished the last one, the first is dry already and you can go right to the next step. Then I painted their clothes. 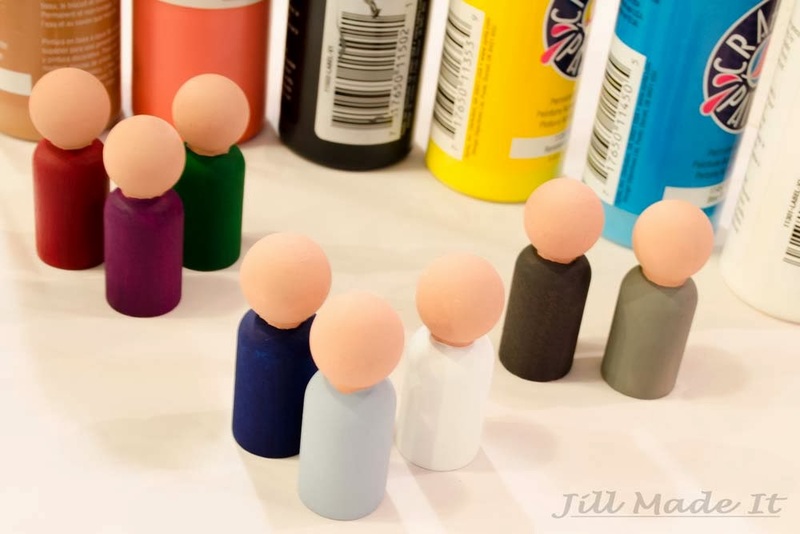 I decided this was a "less is more" kind of project, and painted their clothes really simply. I painted Mary in her traditional blue. Joseph is dark blue so he feels like he belongs with Mary. 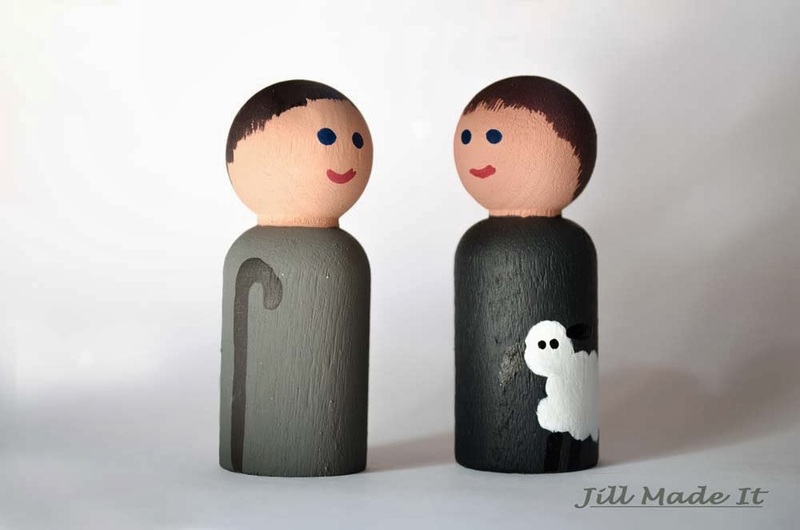 The shepherds are grey to show their humble state in life. (I would have done brown, but I couldn't mix a nice color.) The three kings are rich, jewel-toned colors. And of course, the angel is white. I feel like the nativity set is already identifiable, but that's probably just me. Let's add a little something, while still keeping them simple. Mary is holding baby Jesus and wearing the blue head covering. 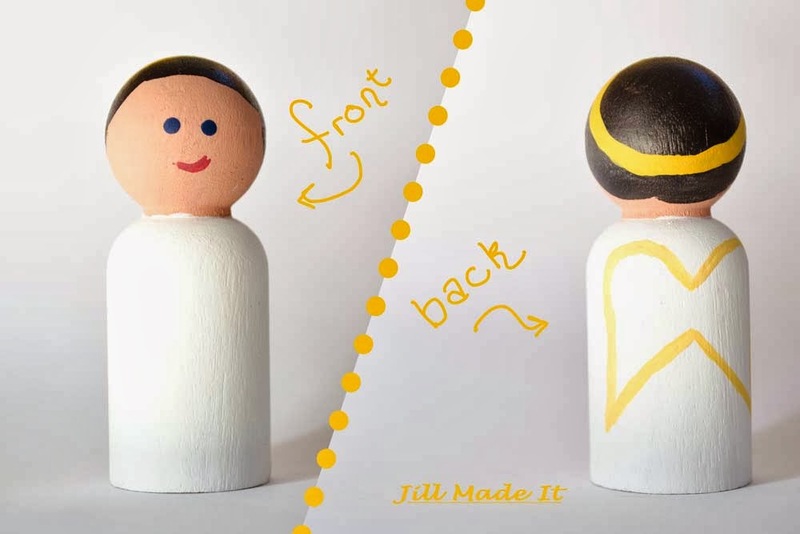 I didn't know what to do for Joseph; most nativity sets I've seen have him holding a shepherd's crook, which doesn't make any sense at all for the carpenter that he is. The angel gets a halo and wings. The shepherds get a shepherd's crook and a lamb. And the kings get crowns. I thought about giving them gold, frankincense, and myrrh, but I went back to "less is more." UPDATE: I realized these guys should have a coat of clear polyurethane to protect them, but I haven't done that yet. Merry Christmas, everybody! Only nine more days! Don't miss the other posts in our Sew a Song of Christmas series!